At Qualident Dental Lab, LLC., we believe that the same standards for quality, integrity, and customer service that apply to how dentists treat their patients should also apply to how a dental laboratory treats its clinician partners. 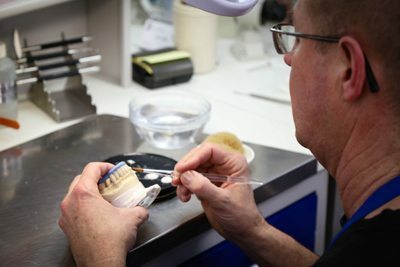 As a dental lab services provider for the greater Portland/Vancouver Metro area, our team at Qualident remains committed to meeting the complex needs of clinicians in the area by creating exceptional dental restorations made with the highest quality materials and attention to even the smallest details. We understand that creating lasting partnerships with our dental clients requires establishing relationships built on trust. That's why we will go above and beyond to meet your needs and to exceed your expectations. That's the Qualident Dental Lab Difference! Restorative dentistry ranks as one of the most technically challenging and rewarding fields in all of dental care. The ability to revitalize a patient's smile back offers a significant improvement to the lives of so many people by restoring the confidence in their oral health. At Qualident, we understand the role our dental lab services play in helping improve the health of your patients. That's why we provide the highest quality and best looking aesthetics in every restoration that we create. We strive to produce beautiful, fully functioning teeth for every patient that gives them a reason to smile. At Qualident Dental Lab, we remain confident that you will see a true difference in our quality, communication, and attitude in every restoration we complete. 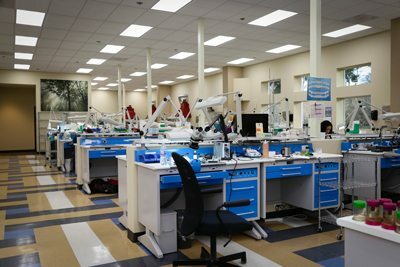 As a dental lab service provider for the greater Portland/Vancouver Metro area, our team at Qualident offers a full service dental laboratory specializing in exceptionally crafted dental appliances. Our Fixed Restoration department specializes in cosmetic restorations, while our Denture Department offers a complete line of of removable prosthesis. We also offer in-house milling and a range of reline and repair services. Each appliance we create receives the highest level of individualized attention, ensuring that every item we craft meets the exacting standards of our clinician partners and their patients. A commitment to integrity serves as the foundation for everything that we do at Qualident. From providing our clinician partners with consistently high-quality products to extraordinary customer services that quickly answers your questions and addresses your needs, you can feel confident knowing that our experienced team will always place your satisfaction as our number one priority. We encourage you to contact our expert staff for any individual crown and bridge, full or partial denture, or other restoration service for comprehensive case planning and assistance. We strive to be one of the best dental labs in the Portland/Vancouver Metro area, and hope that our commitment to excellence will make Qualident the clear choice for all your local dental lab services.